The timing of this list post is interesting. I often post these lists on Fridays. This is basically because the group that I assemble these with usually unveils the consensus results during the week. It is also partly because this is an easy type of post to write at the end of the week. The 15th of the month is a special day for me because it is (usually) Criterion Announcement Day. This month the 15th fell on a Thursday, and usually I get caught up in the social media hubbub that I don’t feel like blogging anyway. So yesterday I was hitting refresh like I always do, but there were no releases to be announced. I hoped they would come this morning, but the hours passed and still nothing. It was weird because often Criterion will give a warning if there are delays. As the evening hour approached, they abruptly went up, and it turns out one of the releases, The American Friend, is on this list. What better day to post it? I’m a fan of Wenders, and he has topped one of my lists before. He is not on top this time, but pretty close. Needless to say, I’m thrilled about this announcement. Back to the list. 1977 was firmly in the post-Jaws era of Hollywood. The gritty, American New Wave pictures were quickly becoming a thing of the past. 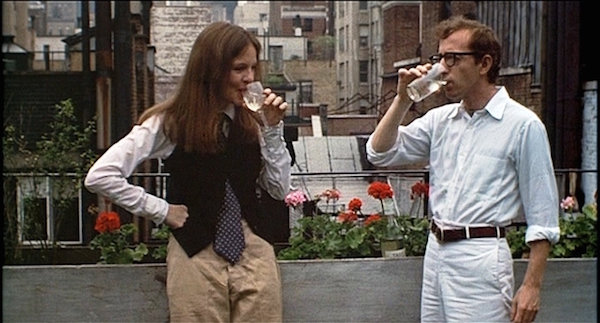 Woody Allen was moving away from his earlier, “funny ones,” and becoming one of the top auteurs of the time. In my opinion, 1977 is a weaker year than most of the years in the 1970s. I’m not blaming Jaws or mainstream American film in general. I have a few of those on my list. It just seems like the industry was in a state of flux. When I look at the list, it looks pretty diverse. There are seven foreign films (eight if you count Australia), three Hollywood summer films, five American “high brow” films, one mini series, and a documentary. That fits the year. There are worse years, but this one is all over the place. One of the frustrating issues with compiling this 1977 list was the lack of availability of some key titles. I particularly wanted to see The Lacemaker, The Devil Probably, Soldiers of Orange, Hitler: A Film, and others, but they were not available. If these or others get a proper release, then my list could change. Posted on October 16, 2015, in Film, Lists. Bookmark the permalink. 12 Comments. Great to see Friedkin’s ‘Sorcerer’ on a list like this. It is one of the better remakes of a foreign classic that I’ve seen. Of course it doesn’t come close the original, but not too far either. 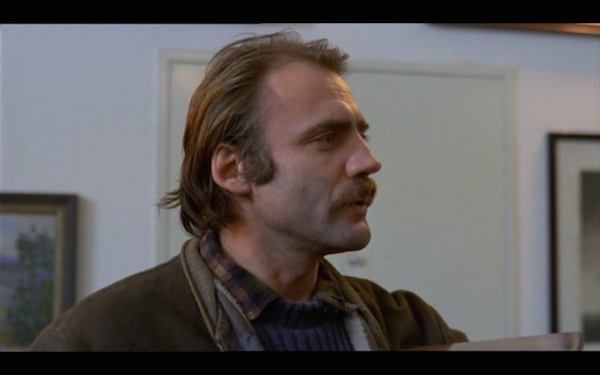 Bruno Ganz is THE MAN! Too bad his legacy is terrible Hitler videos. He was great in the 70s. He was great as Hitler too, for that matter. I know huh! Really liked for the other roles except you know who! I actually think he was amazing in Downfall, but the meme has overshadowed the film. Either way, Ganz is the man. Especially in The American Friend. Looking forward to that one👍🏼! I haven’t seen many of those in your list, and none of the HK films. That’s a pretty big gap for me. You reminded me that I had tried to seek out a lot of obscure films that don’t have physical or digital releases, so I edited a paragraph about that into the original post. I love a list with both Slap Shot and Sorcerer on it. Nice to see SUSPIRIA and the always underrated SORCERER (i like WAGES OF FEAR, but the remake is actually better!). Thank you, Rick. I actually prefer Wages, but Sorcerer is one of the better remakes of a classic film that I’ve seen.